The H&S; pattern we discussed this morning is “growing” as the decline continues. 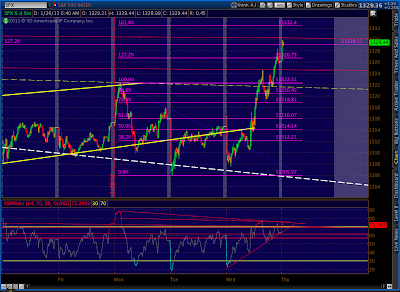 The new nominal target is 1306, at which point we have more opportunities for it to expand further. 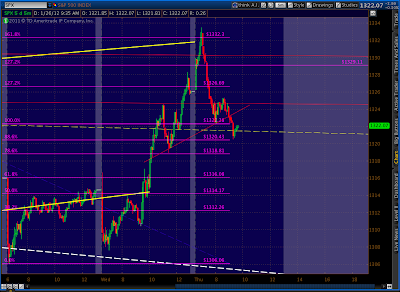 If this one plays out and if the next one does set up, it could target somewhere around 1280 – 1288. The nice thing about rapid ascents is they leave a trail of strong downside opportunities in their wake. BTW: Starbucks reports after the close today. 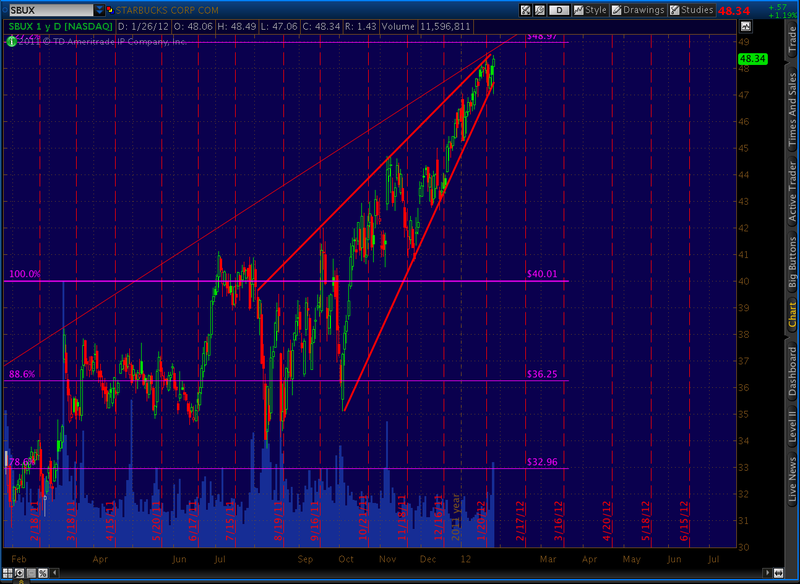 I don’t follow the company at all, but this is not a bullish chart. Working against the upside are the 1.272 harmonic level, a long-term trend line of resistance and a very well-formed rising wedge. I don’t focus much on the DJIA, but it’s getting a lot of attention right now, as it climbed within 35 points of its May highs earlier today. It’s an important level, to be sure. 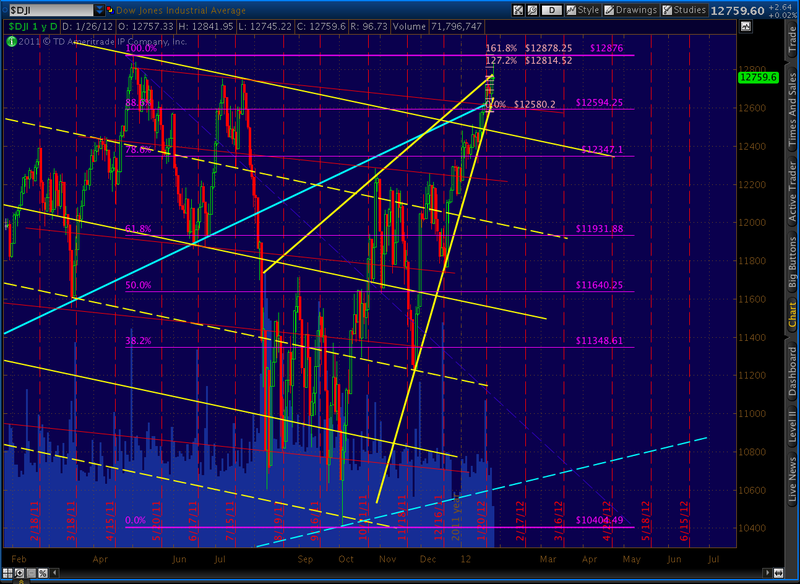 A climb past 12,876 invalidates a lot of wave counts. 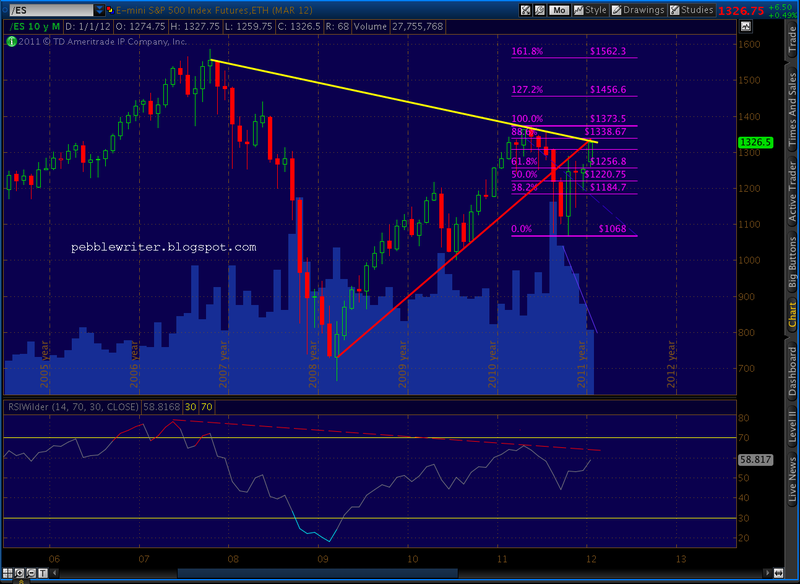 A stop at 12,876 makes for a deliciously bearish double top. Check out the little Crab pattern setting up on the 15-min chart. 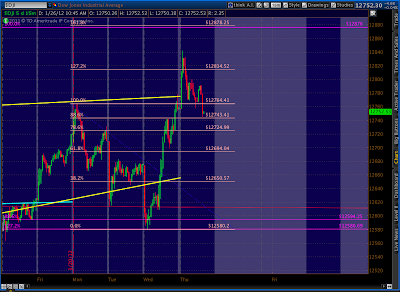 The 1.618 extension happens to be at 12,878.25. At this point, the Dow is showing much better performance relative to the SPX than it should — a variety of divergence that should concern those betting on new DJIA highs. Hmmm…. 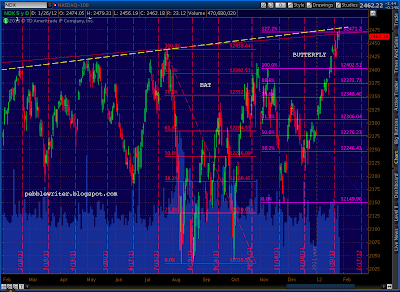 Here’s the NDX chart, showing the Butterfly pattern completion at the 1.272 extension. 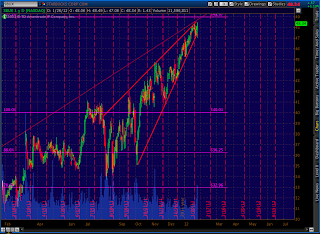 Remember, this follows a Bat pattern that played out perfectly with a 10.9% decline in late October. All things being equal, Butterfly patterns generally produce greater reversals. 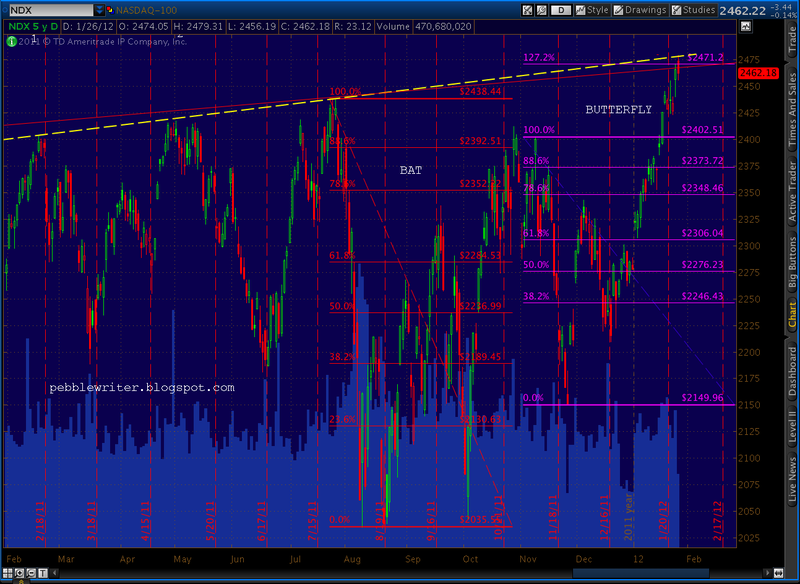 Check out the little H&S; setting up on SPX. 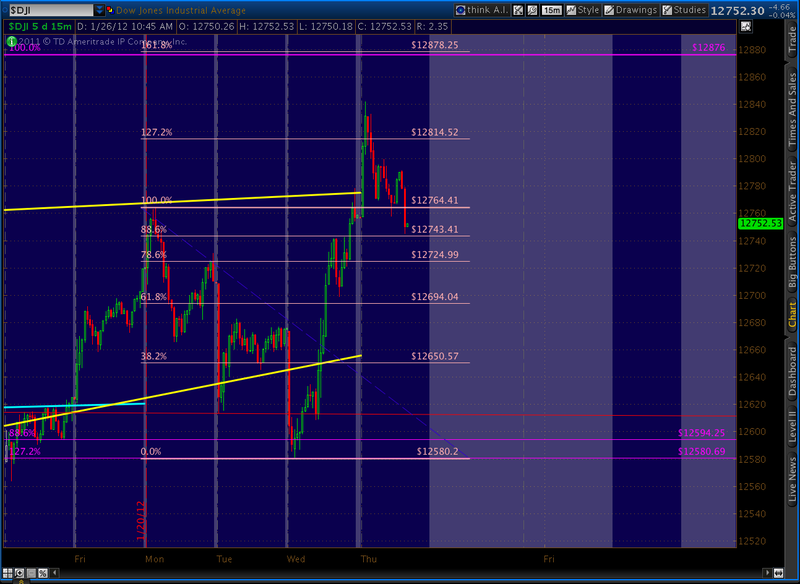 It targets 1311 in the short run and could set up some larger patterns if it plays out. PW has WAY more experience and knowledge on TA than me, but I think these levels will come into play if 1333 is the top of what I think is still a bear market rally. I think what he meant is that we were sitting at twice the 666 low. A retracement has a slightly different meaning… prices coming back to where they were before. A 100% retracement would mean they had regained 100% of their previous loss. 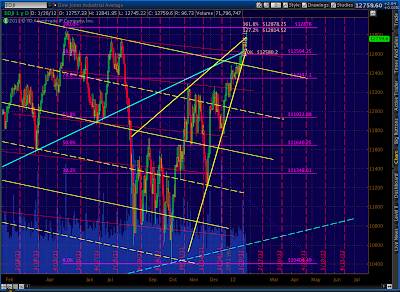 It would apply if the market dropped from 1332 to 666 and, then came back all 666 points to retrace 100% of the drop. 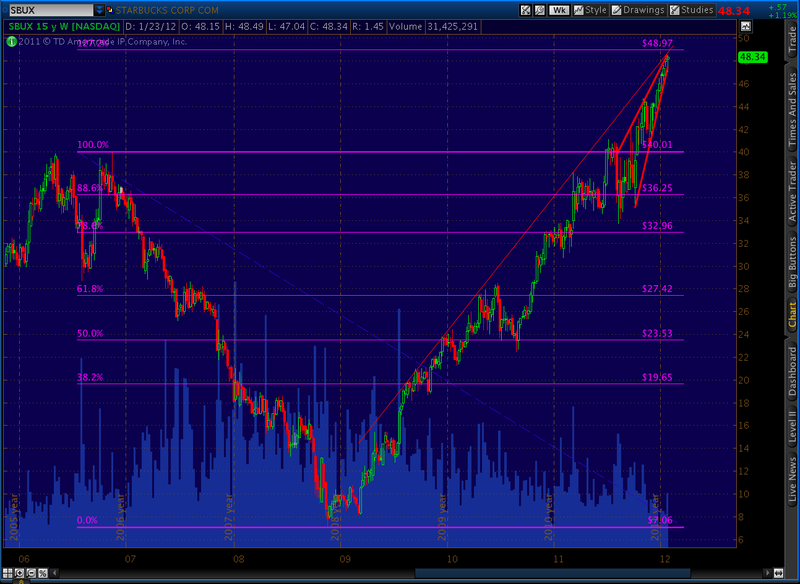 For example, in May we had retraced nearly (within 11 points) 78.6% of the 1576 to 666 plunge. 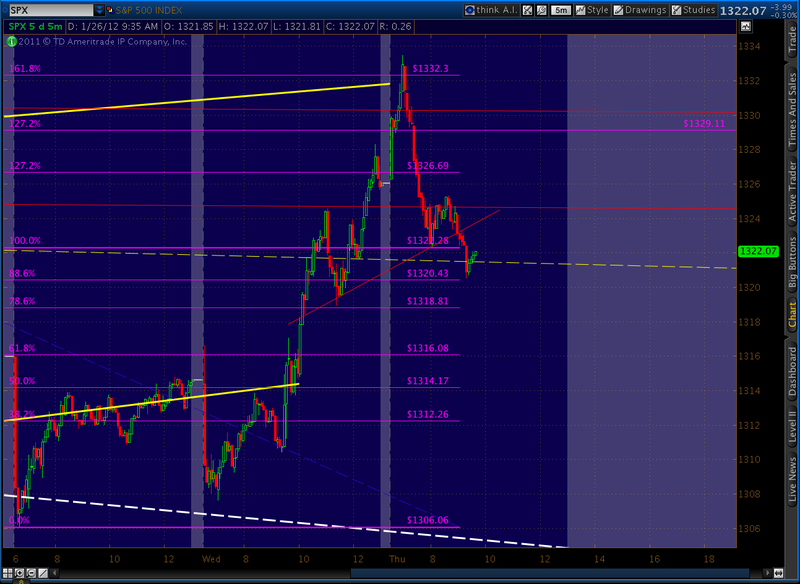 Yesterday, we were within 3 points of retracing 88.6% of the 1370-1074 decline. 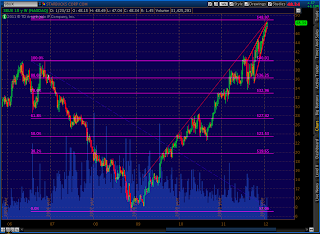 Retracements and extensions (going beyond 100%) at Fibonacci levels are fundamental to harmonic patterns. Interesting. The guy with the hair is so incredulous when Granville suggests a 4,000 dow drop, even though it was down 7,500 points just a few years ago. He's trying so hard not to laugh.. Granville has had some spectacular misses, but he's had some spectacular hits, too (15 of the last 3 market crashes…) BTW, on balance volume makes perfect sense to me. Het PW just thought I would share this with you and your followers. A VERY bearish forecast. Trading with a bias………..go broke. Sticking with the trend, not fighting the tape and trading without a bias…………….priceless. Did anyone see how the market pulled back up right at 12:45? It has been like that for as long as I can remember. It is not allowed to drop AT ALL. Maybe people are conditioned to buy knowing it will levitate at the end or it's the algo? Anyway, let's see what happen at the close. Gravity wins or bots? All the ducks are in a row. We'll see if they can fly or not. PW, we also tagged your NDX target of 2471 this morning and have so far reversed off it! Thanks buddy have been a frequent visitor to that site for some time and have been watching the widening gap between the BDI & SPX or what I consider to be the widening gap between reality and hope. 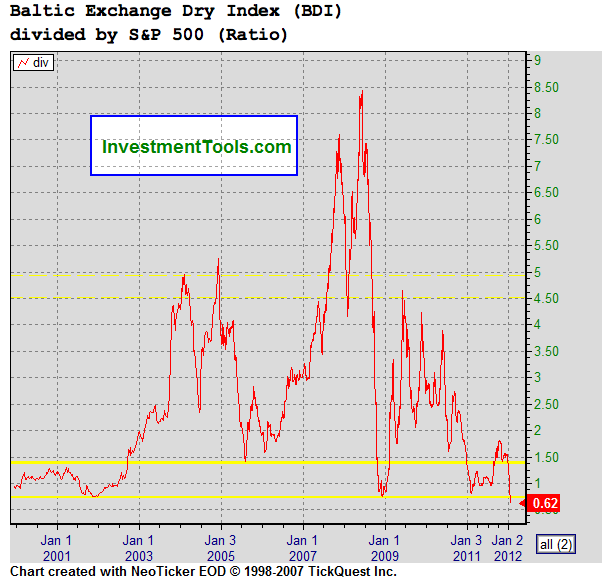 The BDI is currently not at 08 lows but is within sight of them and the sudden sell off from Jan 2 is major worry to the global economy AND one has to remember that the BDI is NOT some easily manipulated sentiment based index but is based on raw hard REALITY. 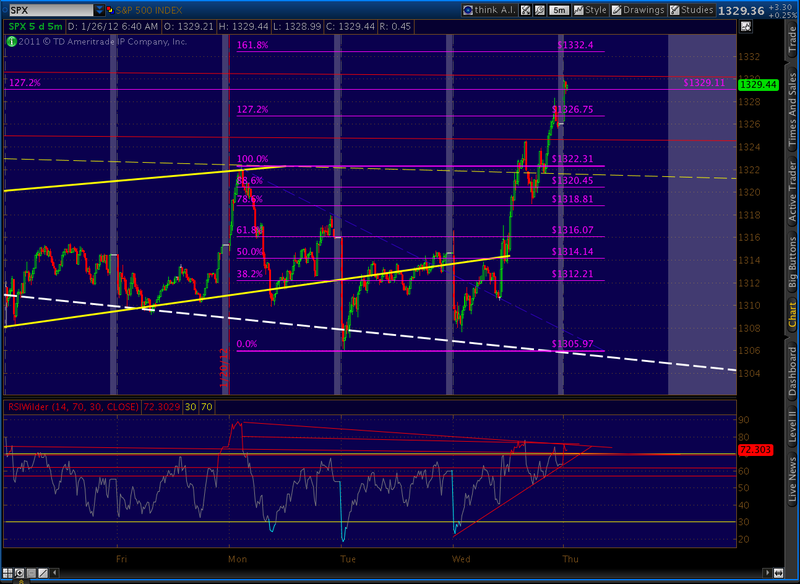 Pebble the daily RSI harmonics have completed there butterfly off the Oct high and Nov low. 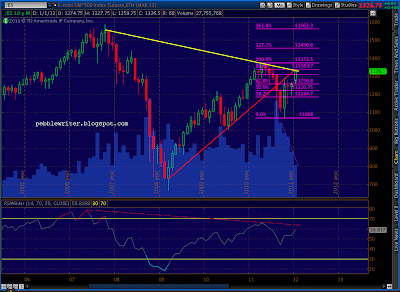 And the weekly RSI is within a .5 point of completing a gartley off the April high and August low. 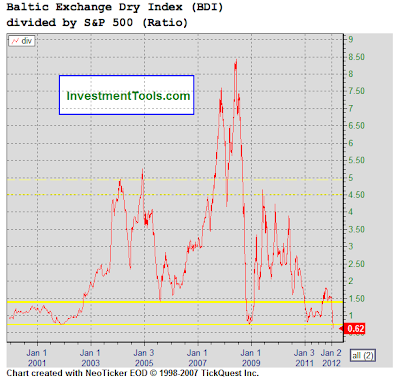 Since the begining of the year there has been only 3 down days on the SPX and yet the BDI has declined more than 50% over the same time and is signalling global disaster dead ahead.